I had to think about this one for a while. Last year I made a cake that looked like a cheeseboard, as the delightful Mrs A is not a huge lover of cake (sacriledge!!). But it is I, so I needed to do a cake! Then it dawned on me ... excuse the pun! 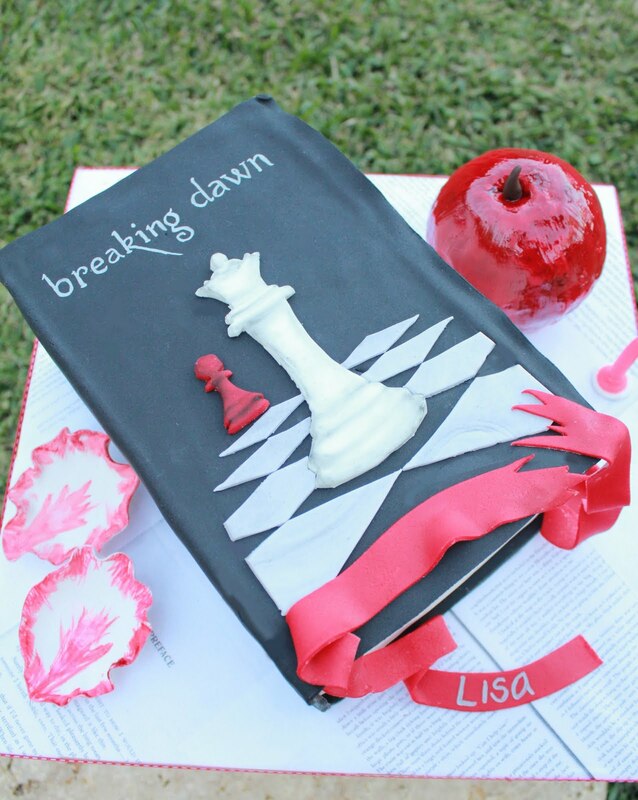 Lisa is a Twihard also and a fellow Edward devotee. Gold class tickets to see Breaking Dawn in November have just been booked. So I thought a little cake tribute to that may be in order. 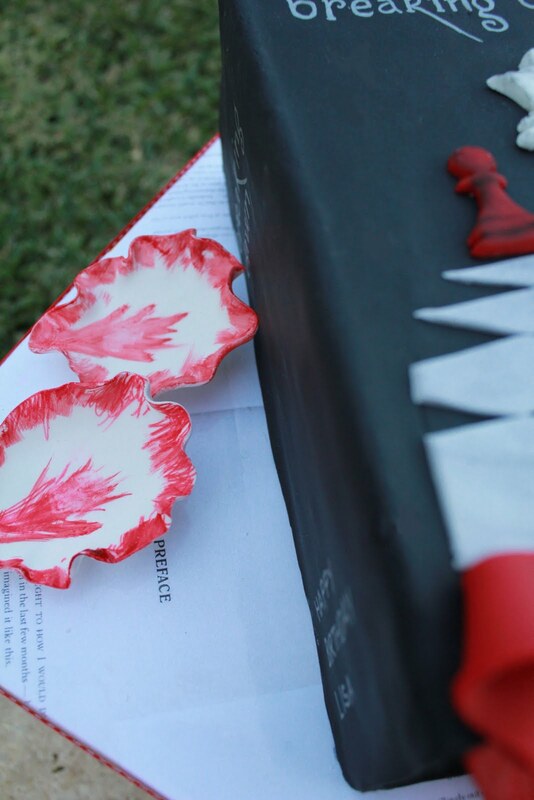 The cake is carrot and walnut cake with white chocolate ganache. 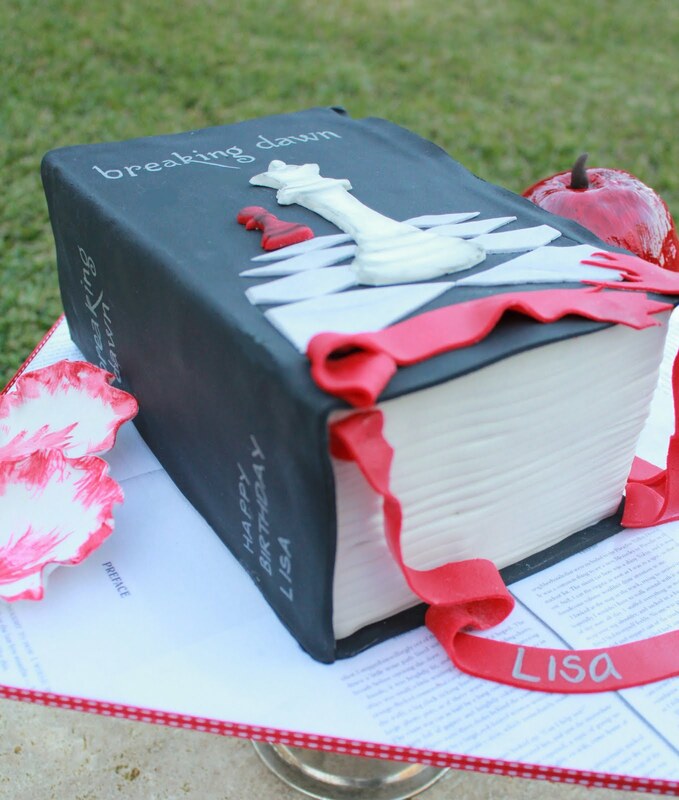 Everything is completely handmade and edible. The cake board is actually covered in pages of my Twilight book that I copied. Thought it gave a nice touch to it. 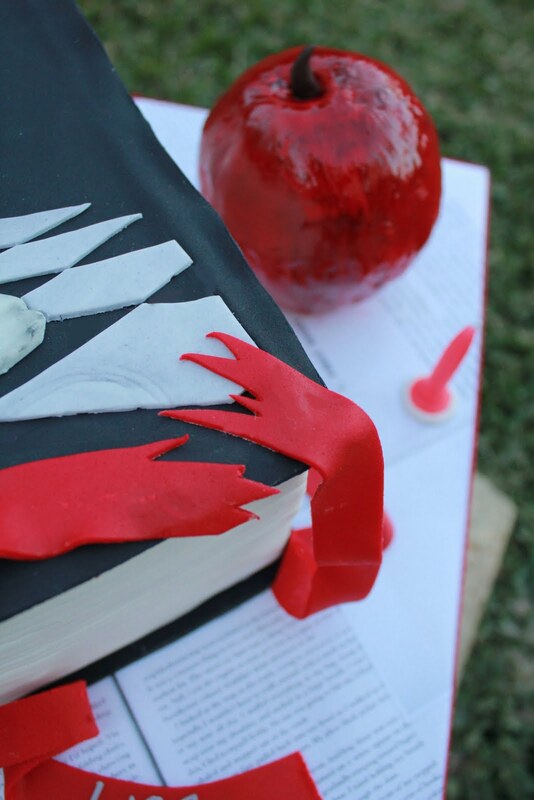 I wanted to give the book the well read edges that all good books have! 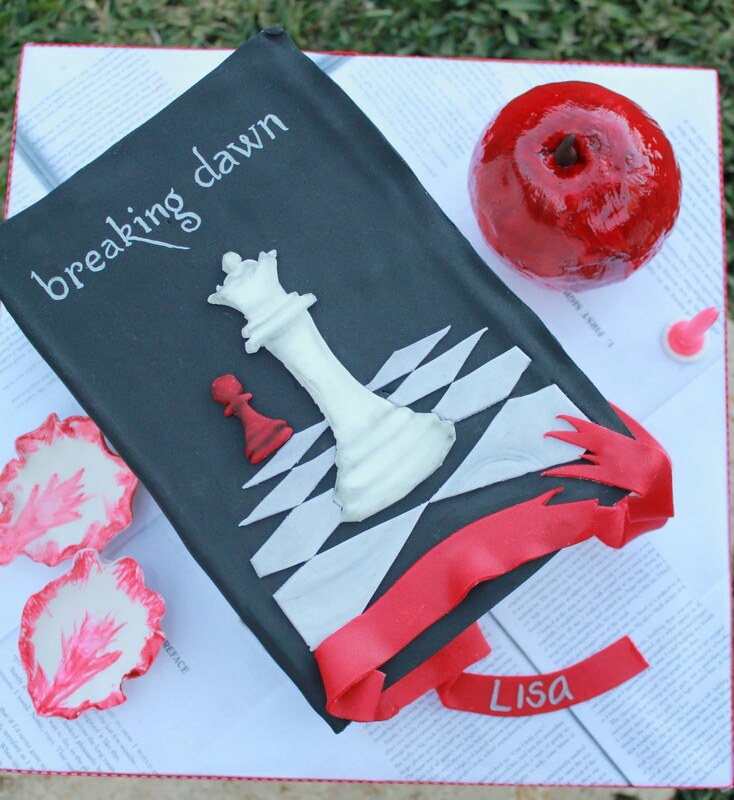 The cake board covered in Twilight pages. 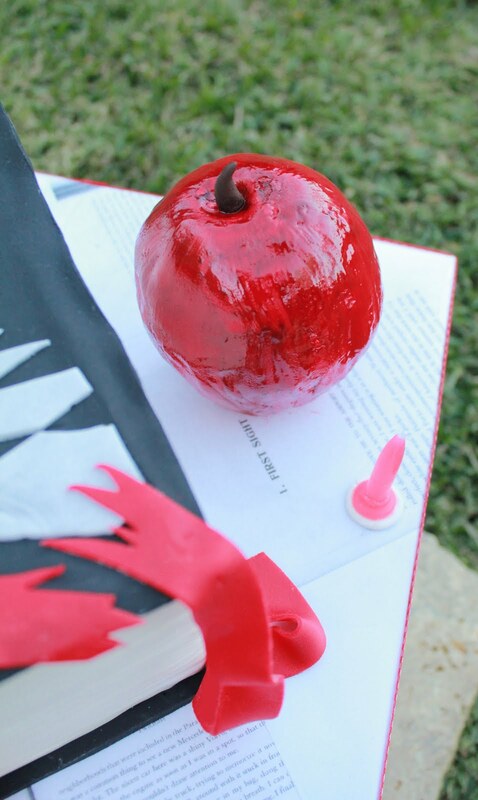 The apple to signify the first book Twilight. The blood soaked petals from New Moon. The torn red ribbon for Eclipse. 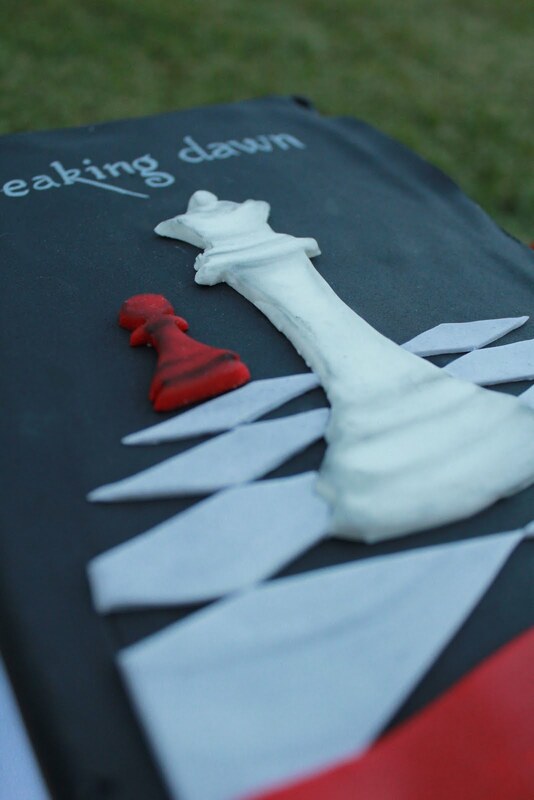 and the chess pieces for Breaking Dawn. Happy Birthday to the delightful Lisa!